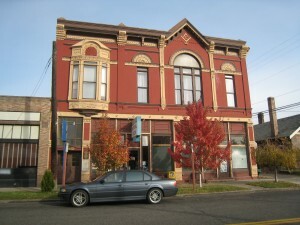 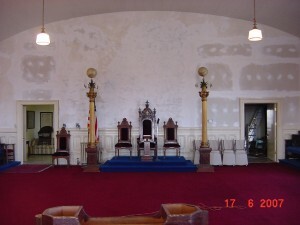 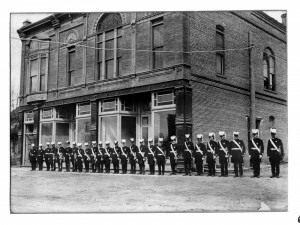 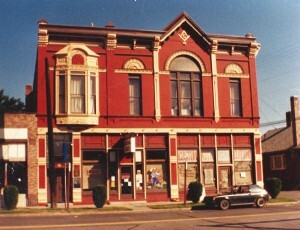 The Temple Building was built in 1890. 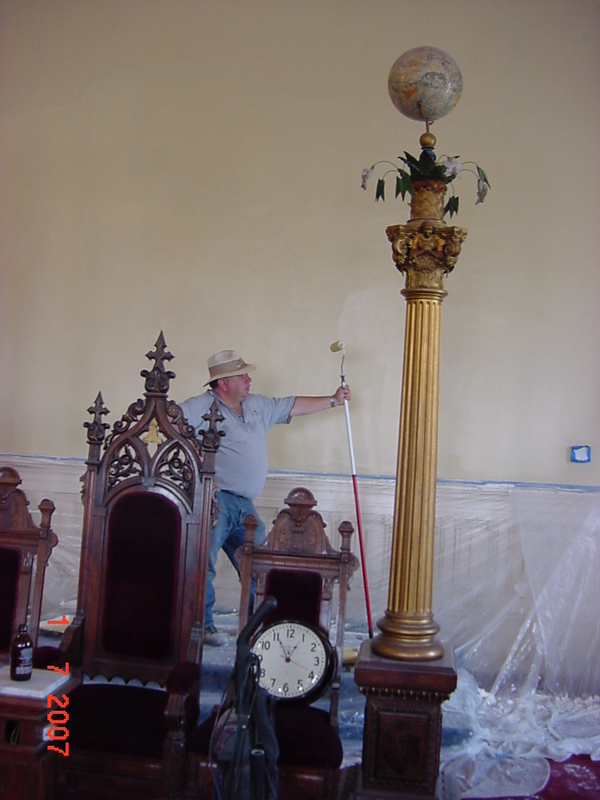 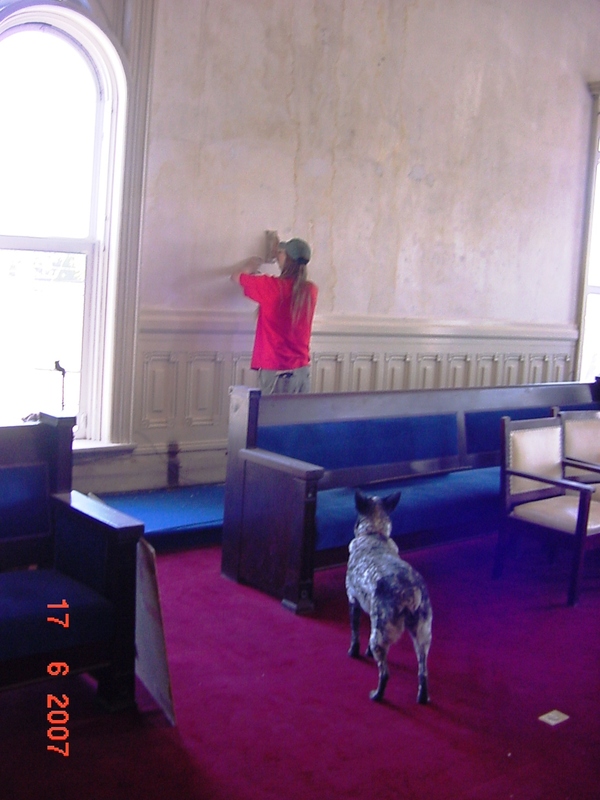 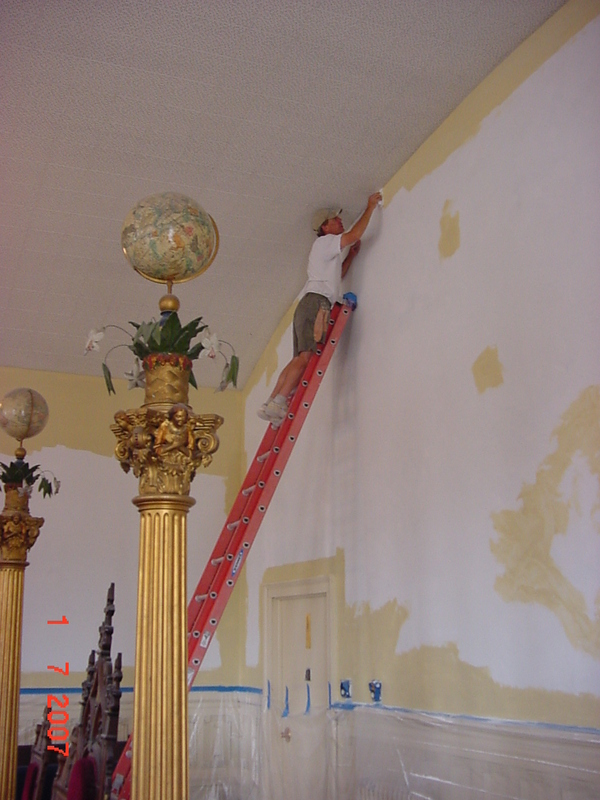 Recently we have taken on some repairs to maintain this historic building. 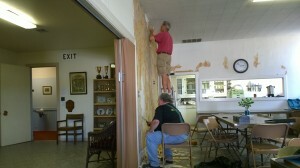 So every now and then repairs are needed. 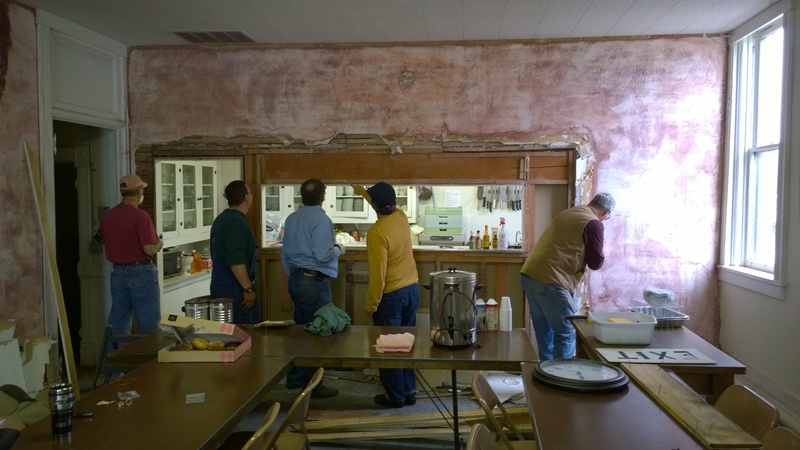 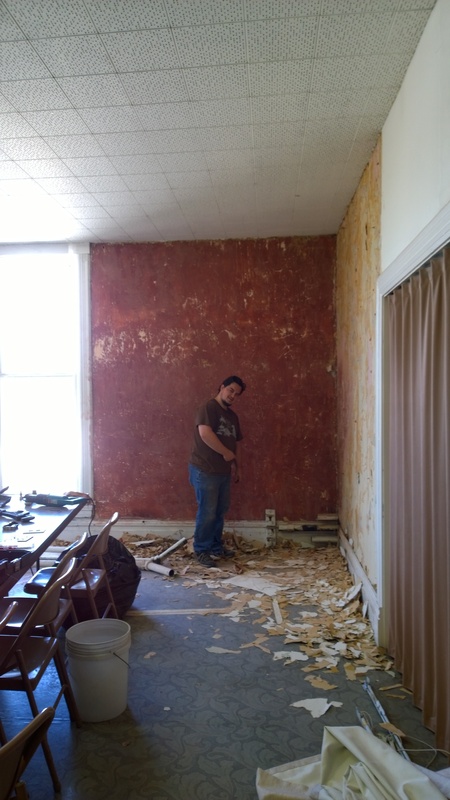 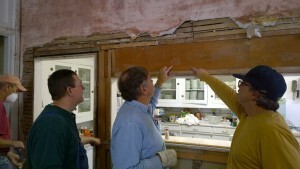 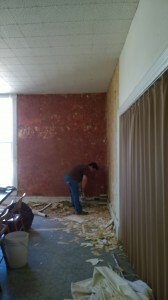 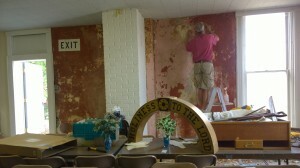 Right now we are in the process of remodeling the kitchen and dining room. 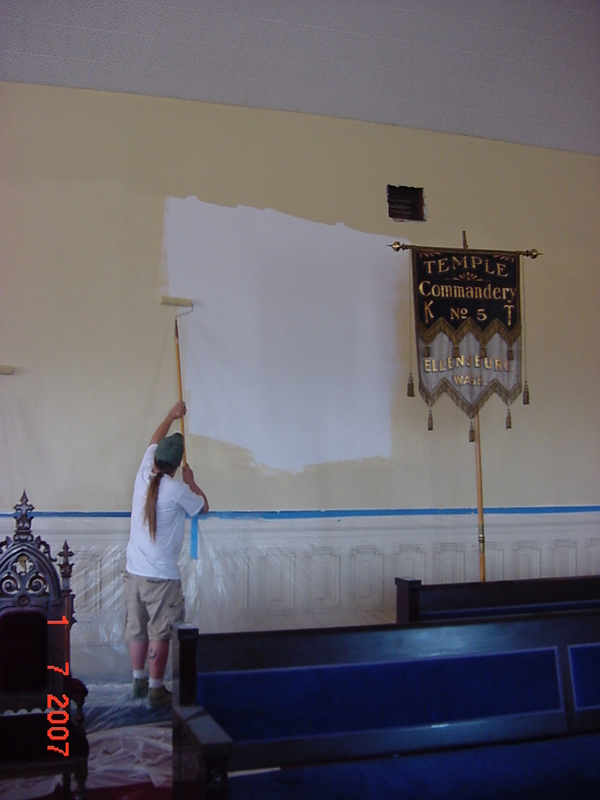 What sort of sign or symbol is this hidden in the rubbish of the temple? 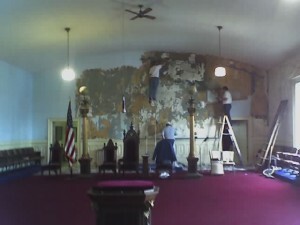 The repairs are not just cosmetic. A few structural concerns were identified as part of a grant that Tedd applied for and received from the Washington Trust for Historic Preservation. 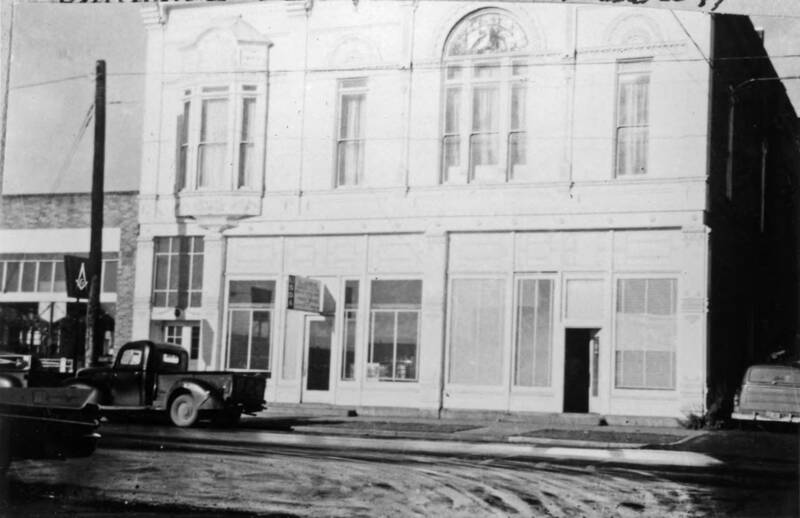 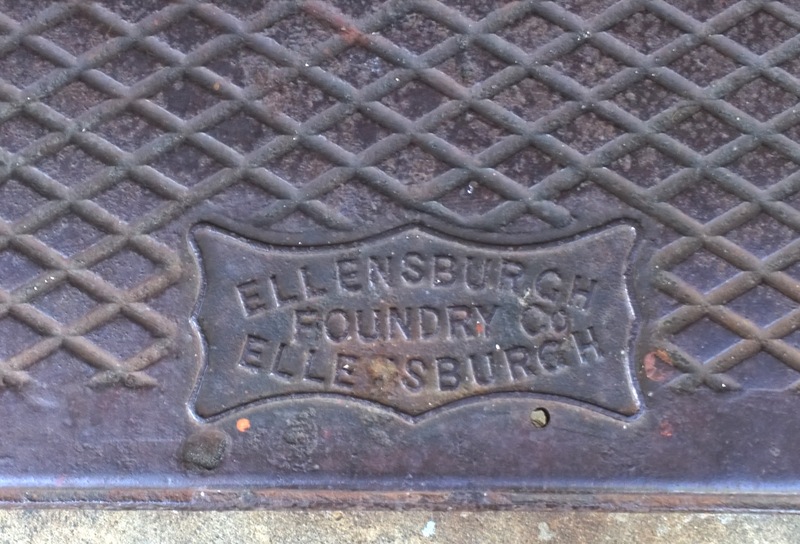 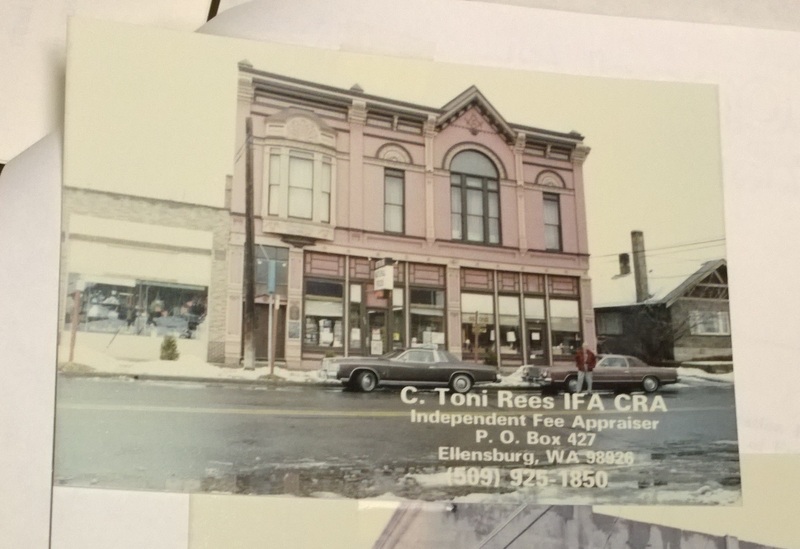 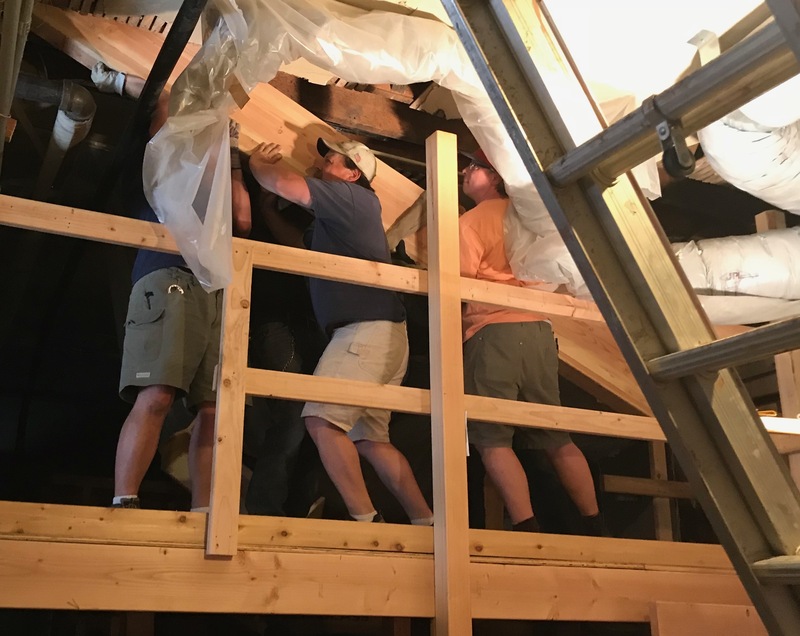 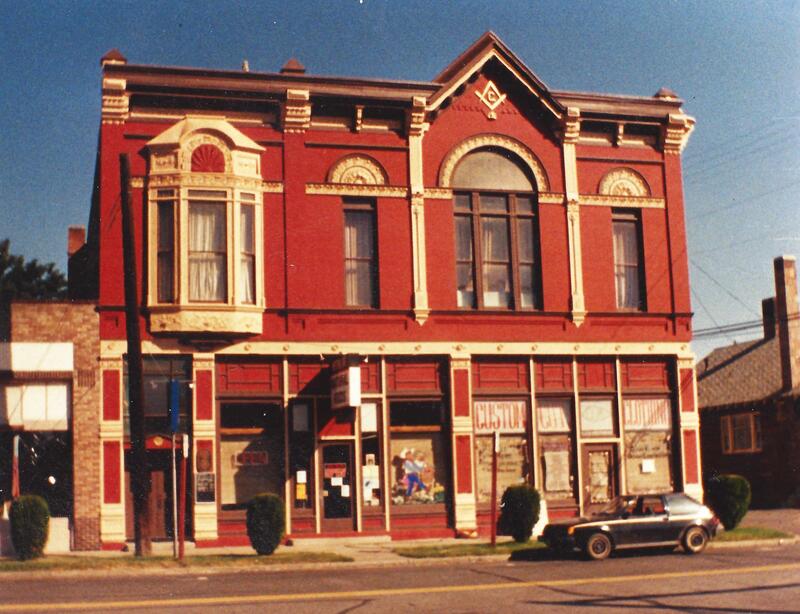 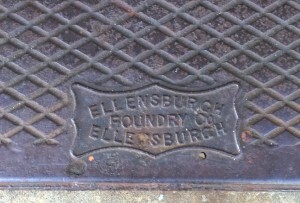 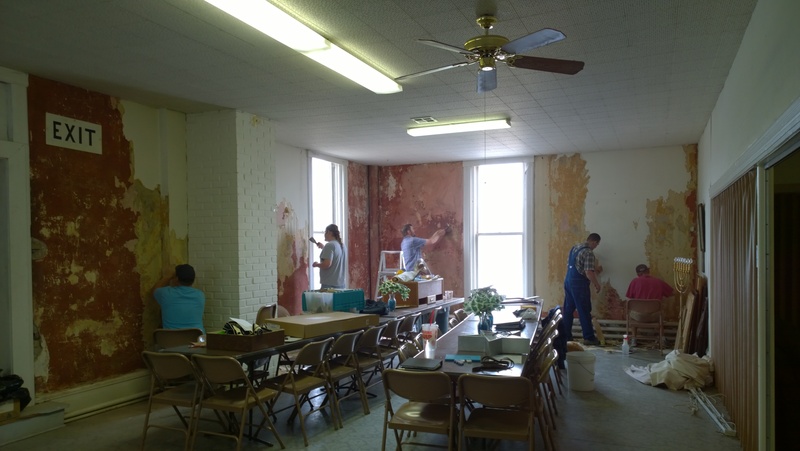 This valuable information along with several other cash grants from the City of Ellensburg landmarks and design committee and the Washington Trust for Historic Preservation have allowed us to make structural improvements. 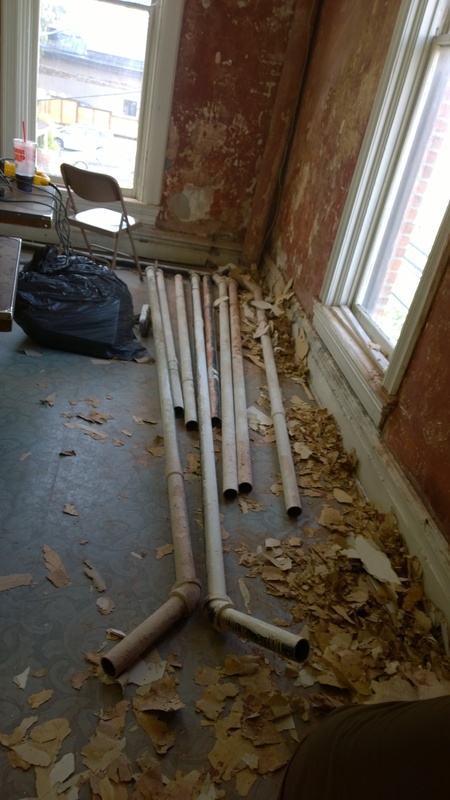 This involved work in the basement – new footings for beams and eventually some new trusses in the roof structure. 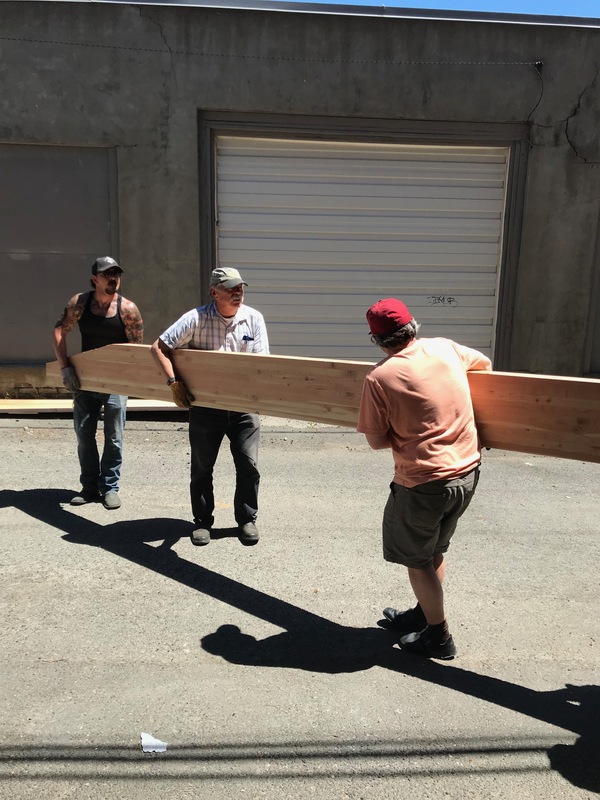 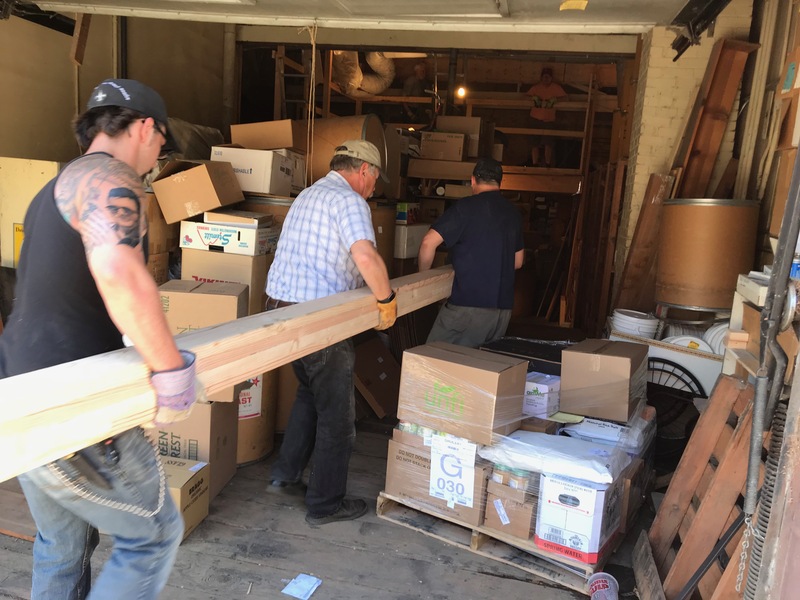 We have received some excellent help along the way from Mr. George Botcher of Ellensburg and Zane Kanyer of Swenson Say Faget Engineers in Seattle. 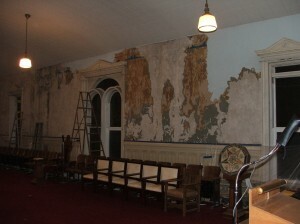 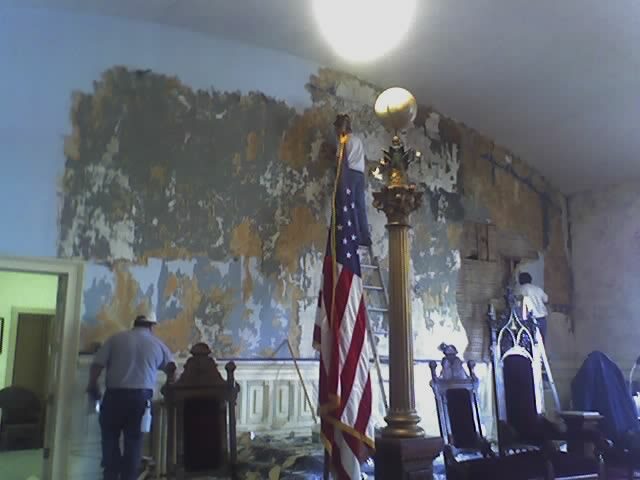 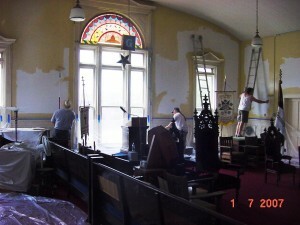 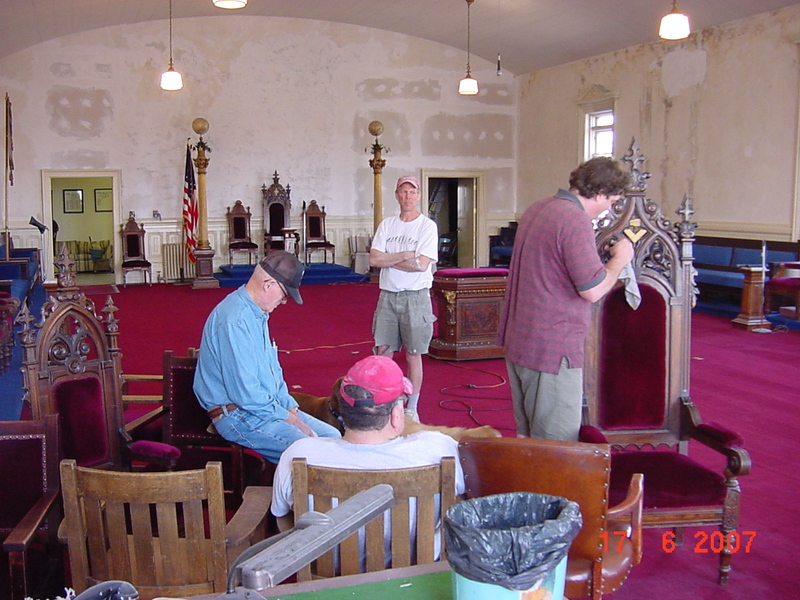 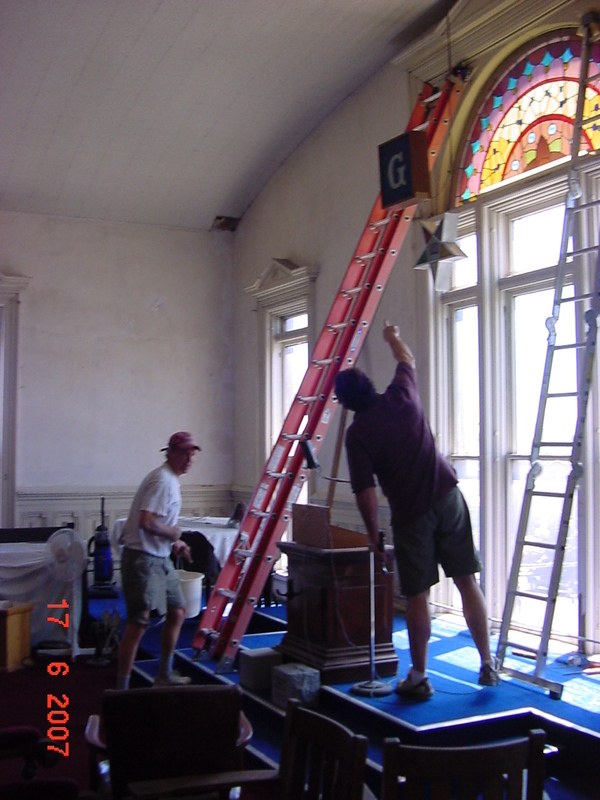 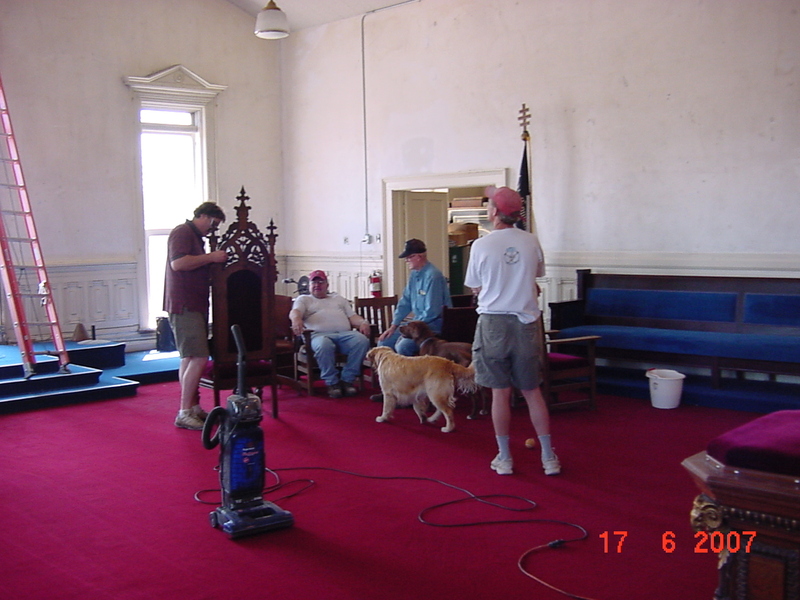 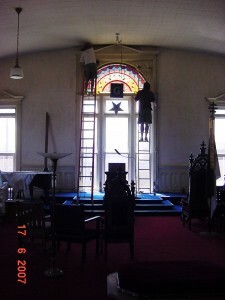 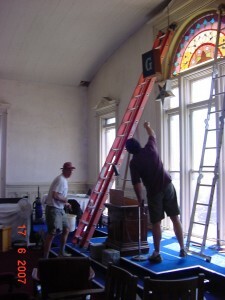 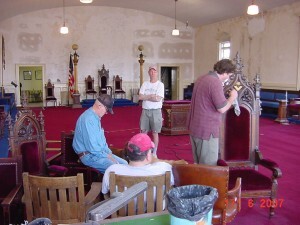 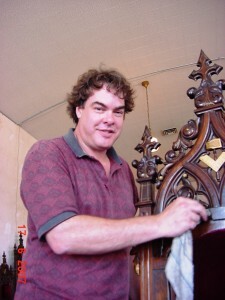 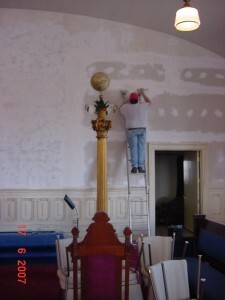 There was big round of repairs in 2007 as well.